A complex and occasionally chronologically puzzling plot, centered around the life of Ursula and her family all living comfortably in the English countryside. Ursula's life (lives) and those of the people she cares about take several turns, driven in a mysterious way by her ability to sense what may befall her world. The heart of this novel takes place in London during the bombings of World War II and the vividness of the descriptions of both that physical tragedy and Ursula's emotional responses were worth the whole book to me. Memorable characters, challenging premise, enlightening history. 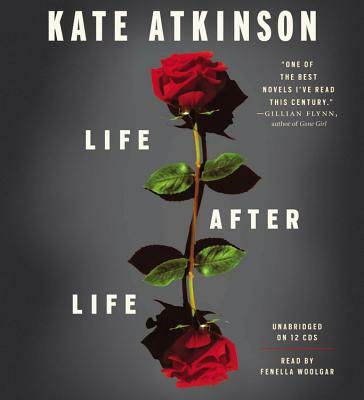 Darkly comic, startlingly poignant, and utterly original -- this is Kate Atkinson at her absolute best. Kate Atkinson won the Whitbread Book of the Year award for her first novel, Behind the Scenes at the Museum, and has been an internationally bestselling author ever since. Her most recent books include Case Histories, One Good Turn, When Will There Be Good News?, and Started Early, Took My Dog. Atkinson lives in Edinburgh.